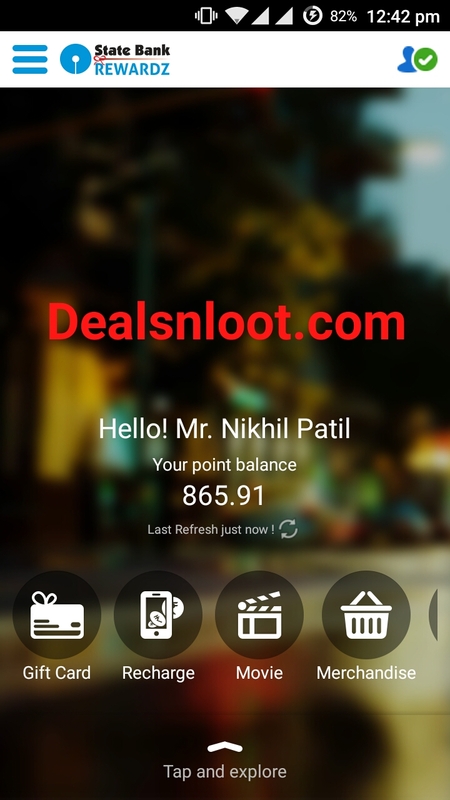 Hello Dealsnloot Readers,If you are a State Bank Customer, here is the Good News for you, Just install the SBI Rewardz App and register with them, you will earn reward points for all the transactions you have done via State Bank of India Debit/Credit cards, The Internet and Mobile Banking.SBI Rewardz App – Get Free 100 points = Rs 25 Free Recharge on Sign up, This offer is Exclusive for State Bank of India (SBI) users. Users need to Sign up on the SBI Rewardz App to Get Rs 25 Free Mobile Recharge. SBI Rewardz is a Reward Program by State Bank of India. In which SBI Users can get Reward point when they transact on any of the merchant or retailer with their online banking or SBI cards (Credit/Debit). So Grab This Loot Offer and Loot Free Recharge By SBI Rewardz. Note :- This offer is valid for SBI Debit Cards users only who have SBI Bank account. Now You Can Get Free Rs. 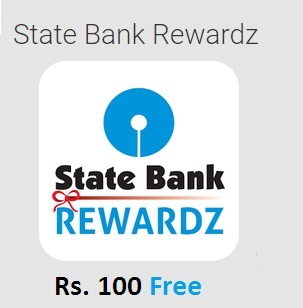 100 Reward Points On Downloading SBI Newly Released State Bank Rewardz APP.Use The Reward Points For Airline Booking, Hotel Booking, Restaurant, Shopping, Movies, Mobile Recharge, & Much More. 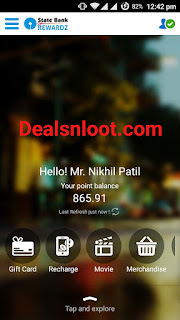 How to Get Rs 25 Free Recharge On Sign Up? Your account gets created on SBI Rewardz App. Now wait 2 days to get credited Rs 25(100 Points) in your SBI Rewardz App. Then Click On “Recharge”–>Enter your Mobile number, operator, amount and Proceed. That’s it you Will Get The Recharge instantly. 1) Firstly click “Recharge” >> Enter your Mobile number, operator, amount and Proceed. 2) Now Click on “Proceed”. 3) That’s it your Recharge get done instantly. Which Banking services are eligible for Reward points ? If you are falling short of Reward points, use your SBI Debit Card to pay the remaining balance. Locate, Max Get more partner outlet near you and avail the best offers, alerts, updates and notifications based on your location.